FAST FACTS: Rahal matched his best start at Barber of eighth place today. He also started eighth here in 2012. In addition, he matched his best start of the season of eighth place at Long Beach… Will be his sixth race here. In 2014 he started 18th on a wet track, ran as high as 10th, dropped four places after being hit by two cars and ultimately finished 17th. In 2013, Rahal set a lap time fast enough to progress to Round 2 and qualify in the top-12 if he had been in Group 2 but he was in Group 1 and ultimately qualified 21st. He had to pit for a new nose on the opening lap after the field checked up and he hit Servia. Moved up to 12th place but he ran out of fuel on the final lap due to a malfunction in the fueling system and dropped to 21st… Started 8th, led 1 lap and finished 4th here in 2012 for Service Central Chip Ganassi Racing (SCCGR). Started 10th and finished 18th in 2011 for SCCGR. Started 15th and finished 17th for Sarah Fisher Racing in ‘10. 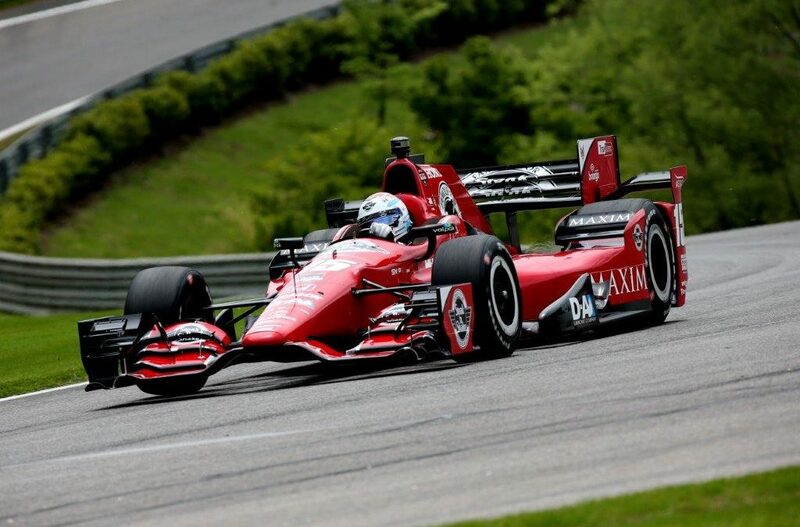 RLL AT BARBER: Graham Rahal brought the team its best starting position at Barber with his eighth place effort today. This will mark the fourth Indy car race for RLL at Barber Motorsports Park (BMP). Last year, Rahal started 18th on a wet track, ran as high as 10th, dropped four places after being hit by two cars and ultimately finished 17th. Servia started 19th, ran as high as 14th and finished 20th. In 2013, Rahal set a lap time fast enough to progress to Round 2 and qualify in the top-12 if he had been in Group 2 but he was in Group 1 and ultimately qualified 21st. He had to pit for a new nose on the opening lap after the field checked up and he hit Servia. He moved up to 12th place but ran out of fuel on the final lap due to a malfunction in the fueling system and dropped to 21st. James Jakes qualified 11th in 2013 but had to pit early in the race when the camber shims fell out of the left rear upright which put him two laps down to the leader. He soldiered on through fueling issues, set the fastest lap of the race and finished 23rd. In 2012, Takuma Sato set the third fastest time in Friday’s first practice and was fastest in the wet second session but traffic limited his qualifying performance to 16th. In the race he passed four cars for 12th place on red alternate tires but struggled on primary tires and ultimately retired in 24th place due to mechanical failure after 52/90 laps. NEXT UP: Race day warm-up will take place tomorrow from 10:00-10:30 a.m. CT. The Honda Grand Prix of Alabama will be televised live on NBCSN at 3:00 PM ET Sunday, April 26.